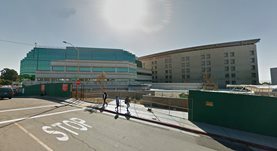 Dr. Javid Sadjadi is a recognized general surgeon in Oakland, California. He received his medical diploma from Virginia Commonwealth University School of Medicine in 1998. Dr. Sadjadi completed his medical education with a residency in general surgery at the University of Texas Southwestern Medical School, between 1998 and 1999, a second residency in surgery at the University of Texas Southwestern Medical School, between 1999 and 2004, a third residency in surgery at the University of Texas Southwestern between 2004 and 2005 and a fellowship in vascular research in the Department of Surgery.at the University of Texas Southwestern, between 2001 and 2003. He is certified by the American Board in surgery. 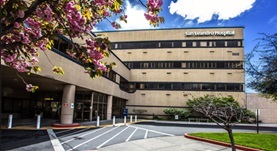 Dr. Sadjadi works several hospitals in the area, including San Leandro Hospital, Highland Hospital, and UCSF Medical Center. He has published a lot of articles in collaboration with other doctors and is a member of the American College of Surgeons. Dr. Javid Sadjadi has contributed to 3 publications. The heart of the matter: Utility of ultrasound of cardiac activity during traumatic arrest. 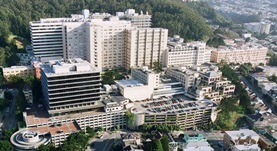 Cureton, E. L., Yeung, L. Y., Kwan, R. O., Miraflor, E. J., Sadjadi, J., Price, D. D., Victorino, G. P.; J Trauma Acute Care Surg. 2012 Jul. Cutaneous anthrax associated with the Kombucha "mushroom" in Iran. Sadjadi, J.; JAMA. 1998 Nov 11. A novel CT volume index score correlates with outcomes in polytrauma patients with pulmonary contusion. Strumwasser, A., Chu, E., Yeung, L., Miraflor, E., Sadjadi, J., Victorino, G. P.; J Surg Res. 2011 Oct.